The wildly popular game "Minecraft" is a lot like its creator, Markus "Notch" Persson: modest in style and origin and apparently still true to its roots despite phenomenal success. In their new book just published in the U.S., authors Daniel Goldberg and Linus Larsson go behind the scenes to tell the story of how their shy fellow Swede became the indie games industry's first real rock star. 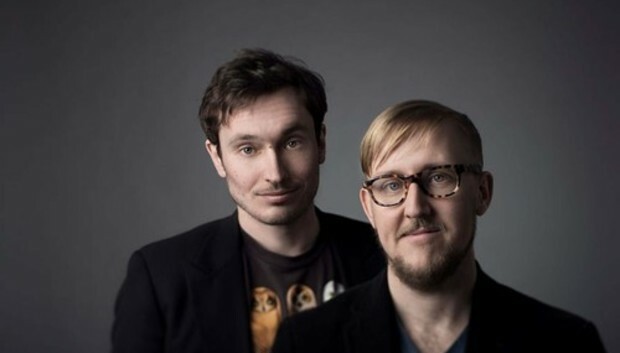 They recently talked to IDG News Service about the lessons tech innovators can take away from Persson's success, why the PC is still an important platform for game development and whether Persson's company Mojang can keep its indie cred despite having a blockbuster hit. The story behind "Minecraft: The Unlikely Tale of Markus "Notch" Persson and the Game that Changed Everything" has a bit of a twist itself: Goldberg says that he and Larsson set out to write a business book that shared the lessons of how to make a fortune online, delving into marketing strategy and the like. "It fairly quickly became apparent to us that we wouldn't be getting anywhere by doing that, because Markus had no idea. So much about this happened by coincidence," Goldberg says. Making the book a more personal story provided the opportunity to tell a story that is often missing in the tech world: "There's a tendency to view programmers as businesspeople and engineers, and there's often little room left to discuss them as artistic people, creative people. We really wanted this to be a book about a creative person," he says. IDGNS: What lessons about innovation can techies take away from the story? Larsson: One of my favorite parts of the story is when Markus had been working in the games industry in Stockholm for a couple of years, and decided to quit . He was fed up with the way games were being developed. So he decided to take just a regular job as a programmer and to pursue his own projects in his spare time. Only then could he begin creating what later became "Minecraft." It says something about how creativity and the most unique ideas don't get realized within regular corporate structures, and the necessity of believing in your own ideas and going your own way even if it means leaving a pretty good job and doing it as a hobby. Goldberg: For programmers and people who work with games from a technical perspective, it's really just in the last few years that it's become economically possible for a games programmer to create something of their own. That's because of all these distribution mechanisms like Steam and Xbox Live, for example, that really opened up avenues for game makers to realize their own ideas without the backing of a big company. Lots of independent games developers are very inspired by Markus's story, he's become a symbol for the fact that it is now possible to succeed on your own. IDGNS: You talk a bit in the book about why Sweden in particular has been a source of both music and games that have been hits around the world. What is it about the country that produces people like Max Martin [the hit maker behind some of pop music's chart toppers from Katy Perry, Britney Spears and Taylor Swift] and a vibrant games industry that puts out addictions like "Candy Crush Saga"? Larsson: There are a few things we think we should have given more room to in the English version of the book. One of them has to do with many of the government initiatives that have helped. If you grew up in the 90s in Sweden, chances are that you had a computer at home that was at least partly paid for by the government. There was a lot of government money being spent on making sure the broadband infrastructure is there, and so forth. And in terms of pop culture in general, Sweden is very open to American popular culture. American Saturday morning cartoons have always been shown on Swedish television channels. We've never really dubbed films in the way the Germans have, for example. And I think that's given Swedes a sensibility about what kind of pop culture works in other parts of the world. IDGNS: So much games development is focused on mobile right now. Do you think a game like "Minecraft" can emerge from mobile platforms? Larsson: "Minecraft" is very much a product of a PC sensibility. It's a game that very much ties into computer gamers' interest in building things, in fiddling around with hardware and making stuff work. So it's difficult to imagine "Minecraft" originating as a mobile game. Today it is very popular on mobile as well, but the value inherent in it, with people contributing to it and it being a platform has much more to do with computing in the traditional sense. I think that's also something quite beautiful and that is something that's at risk of being lost as we transition into mobile. There are many mobile games that are wonderful, and really beautiful creations, but "Minecraft" has a lot in common with older games, or very computer-focused games. Goldberg: One very important thing about "Minecraft" is how early it was released, in a very early alpha stage. The first version is an extremely simple game compared to what "Minecraft" is today. But yet Markus was able to release it as he wished and he had people trying it out and giving feedback, so he discovered how people would appreciate this game. That is hard in the more controlled environment of an app store, for example, where you've more or less finished the game before you show it to anyone but a small group of beta testers. So I doubt that "Minecraft" would have developed the way it has if it was originally a mobile game. I think it's very important that it was developed for PC and for online. Larsson: Just to add to that, it's also interesting to see how the big platform owners, primarily Microsoft and Sony, are really scrambling to accommodate things like this in the future. One of the new things with the Xbox One, which I find most interesting, is how the barriers to entry for independent developers are now being lowered. It's much less costly to have a game published on Xbox Live, and much easier. There's much less of a vetting process going on. That shows that they're very much aware of this, and trying to make it easier. Everyone wants to be the platform where the next "Minecraft" is created. IDGNS: Mainstream success has been the double-edged sword for many an artist. Can Mojang keep its indie credibility? Goldberg: They've clearly made an effort to keep their focus. What I find most notable is that there is no "Minecraft 2" and there is no "Minecraft in Space," there are no followups. They made the promise that those who bought the game early on would receive all future updates, and that has been happening so far. When they create new games, like their second game, Scrolls, it's something very, very different from "Minecraft." So they're not taking the easy way to cash in on their success like some other successful game makers often do. They do try to extend their game as much as they can, but they have not compromised the original ideas around which the company was founded. Larsson: There's something really interesting going on right now where Mojang and Markus are trying to come up with something to follow "Minecraft." Markus canceled development on his next big game quite recently. It's the classic question of the difficult second album, isn't it? How do you follow a massive success like this? It's very hard to feel sorry for Markus, he's done very well for himself, but the pressure of how to follow "Minecraft" must be extraordinary.